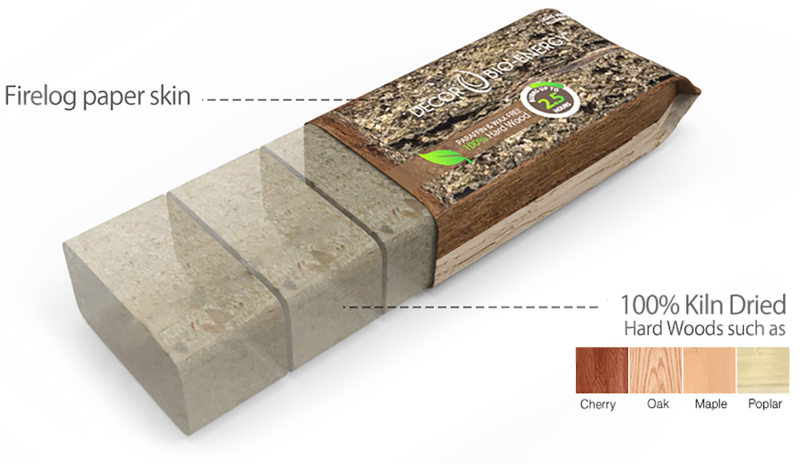 Wood bricks are made from recycled wood scraps. These scraps are fed into a wood grinder creating a fine wood shavings. Materials are then collected by an industrial vacuum system and placed into a holding tank. Sawdust is then compressed under tons of pressure and heat using no binders or other chemical additives which extrude into individual blocks, which creates a very pure, solid and dense block to give you a hot and clean burn.